We love it when customers share their work on their preferred social network and tag us in them. 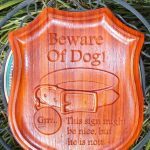 This project was shared on Instagram by, @woodmagicians, Greg Lankston and we're glad he made sure we saw it! "The (knife) display case was a customer request. 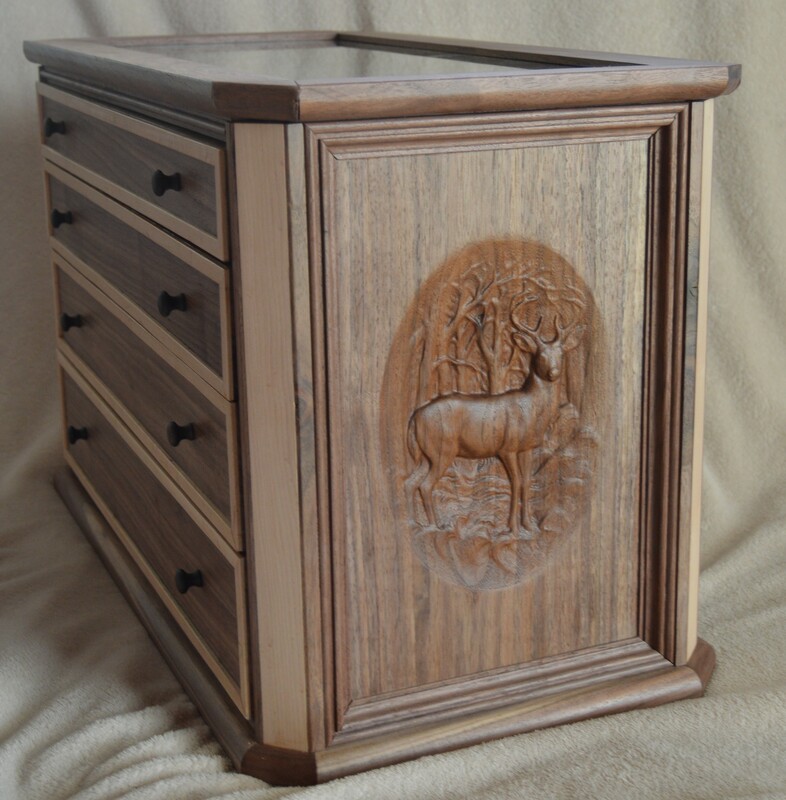 They had asked me to make something of solid walnut and tie deer into the display case." 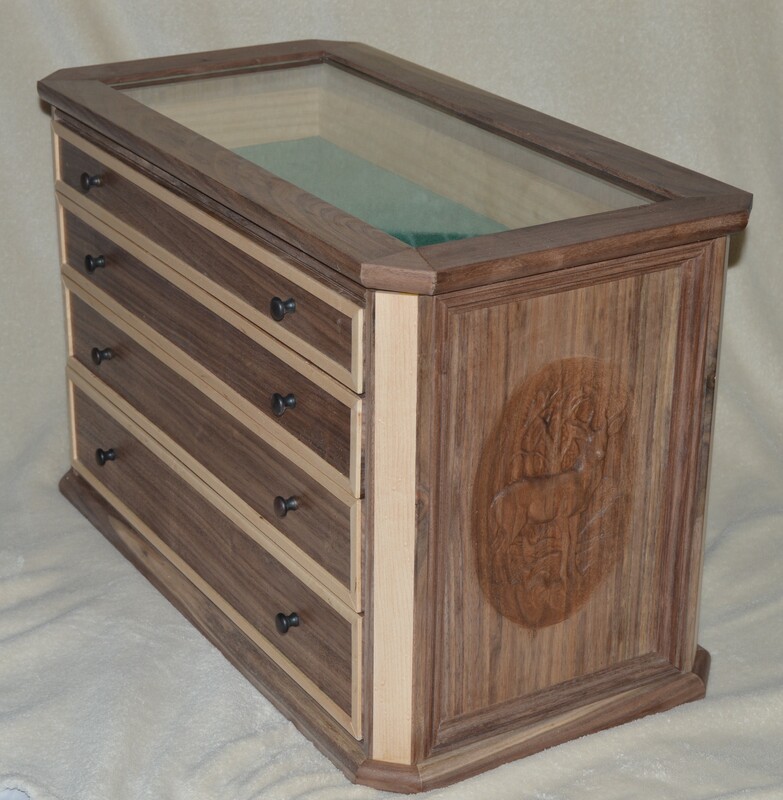 "The display case was made for the customer to give to her son as a heirloom piece for his high school graduation gift. 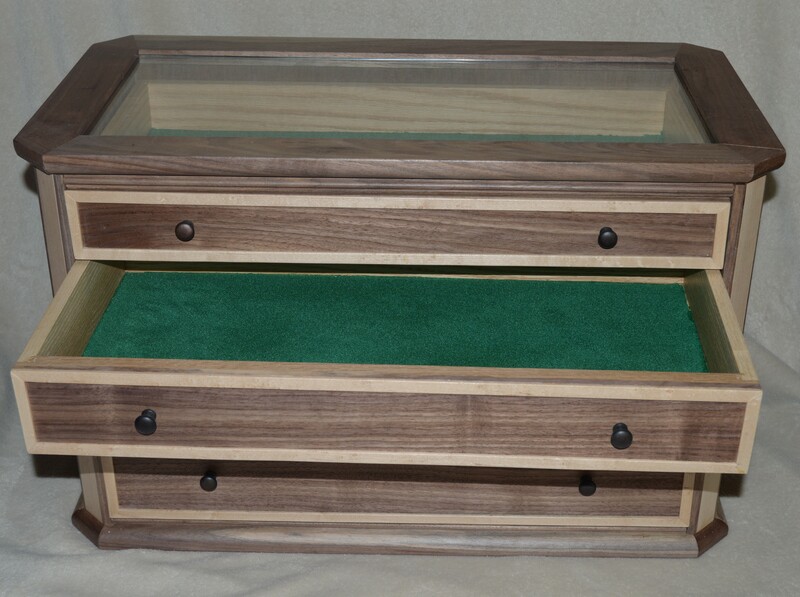 The display case was made from solid walnut, birdseye maple and the drawers from solid red oak." "Then a glass top was built into the display so they had a way to show off their most valuable display pieces." Greg used one of our most popular models for the ends of the cabinet. 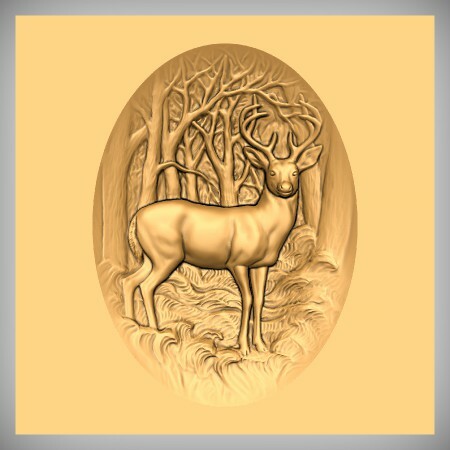 This deer scene was the perfect addition to the wonderful and beautifully finished piece. 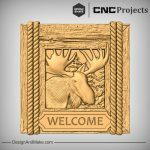 If you are interested in adding this model to one of your projects click the link below. Interested in more of Greg's work? Follow him on Facebook and Instagram or check out his website. 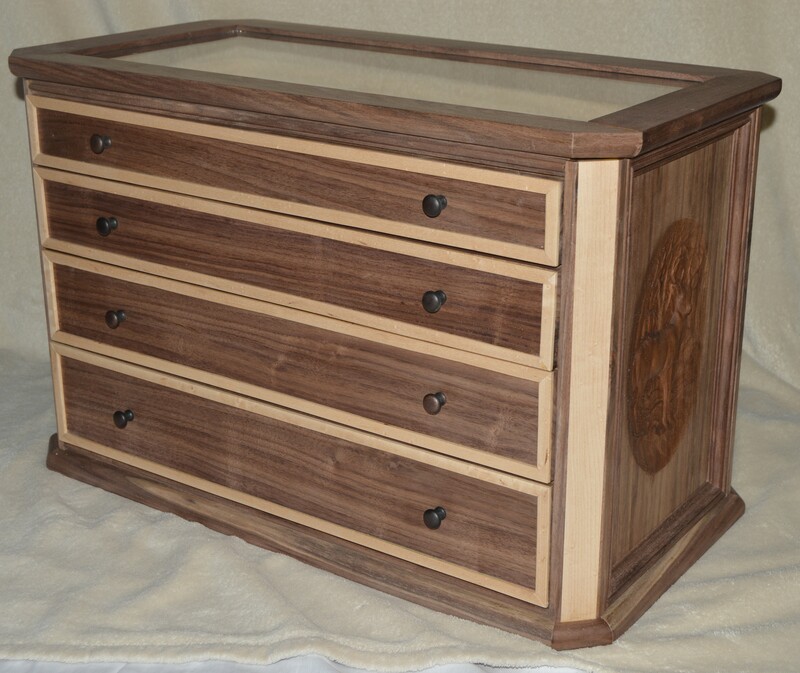 Thank you, Greg, for taking the time to share your finished project with us!